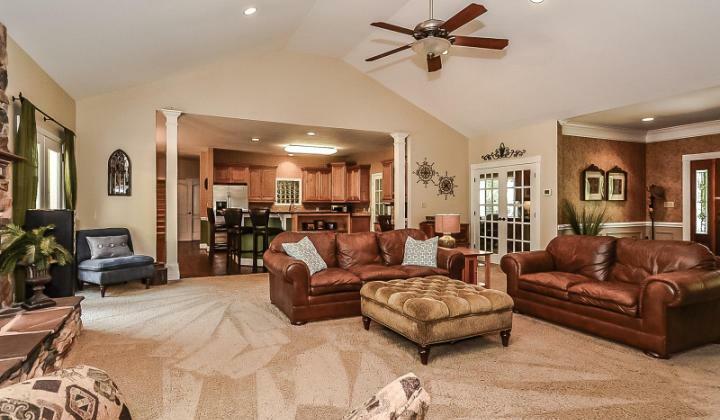 Take a look at this rare spacious ranch style luxury floor plan located in popular Mooresville, North Carolina near Lake Norman. 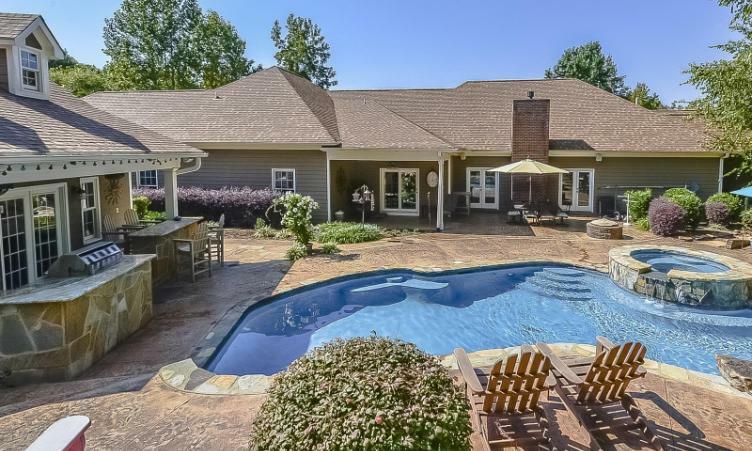 This home has one of the finest outdoor living areas you will find in the entire Lake Norman area. It includes a custom designed pool, hot tub, waterfall feature, stone pool deck, tanning deck, hammock area, fire pit, covered patio, bar area with built-in grill and a beautiful pool house with full kitchen, bathroom and gaming area. This is the ultimate in outdoor entertainment areas. 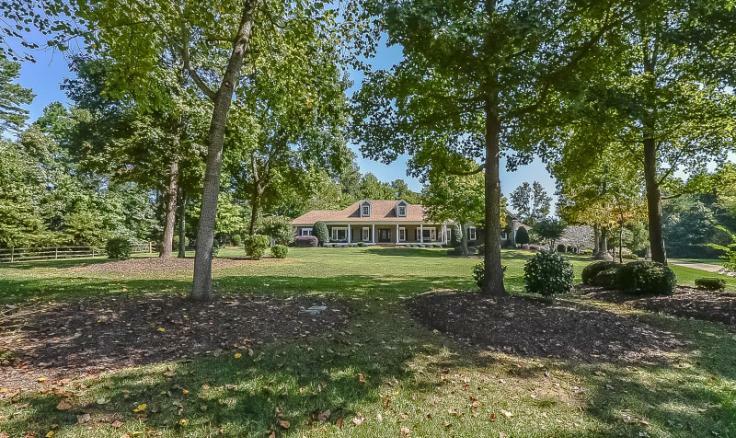 The beautiful ranch style home with bonus room over the garage sits on a stunning 1.81 acre home site with seasonal Lake Norman views. Inside you will find a popular open floor plan, vaulted ceilings and plenty of natural sunlight. The master suite includes a newly remodeled master bath, large walk-in closet and second attached room that can serve as an office, nursery or very large walk-in closet. The fully equipped upgraded Kitchen, Large Bonus and over-sized Bedrooms makes 340 Whippoorwill Road in Mooresville stand apart from the similar priced homes in the area. Contact us today for a private showing and additional information about this great home before its gone. This entry was posted in Uncategorized and tagged Charlotte Lake Homes, Homes with pools, Keller Williams, Lake Norman, LePage Johnson Realty, Mooresville Homes for Sale, Ranch Homes, Real Estate. Bookmark the permalink.